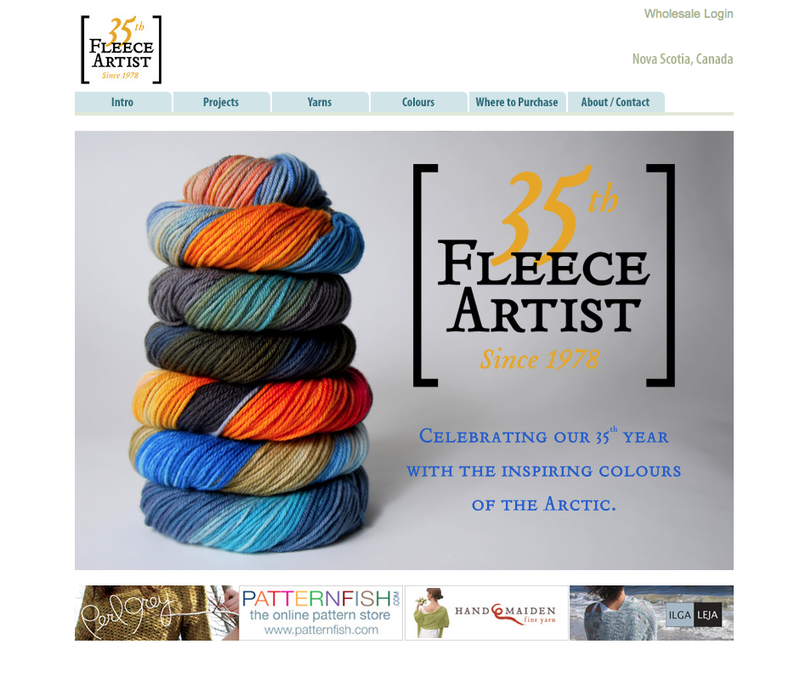 Fleece Artist is a wonderful wholesale yarn shop. They sell their dyed wool and silk all over the globe. Fleece Artist has always been fun to work with. We have been working on their website for a number of years now always making imporvements and added services for their clients. 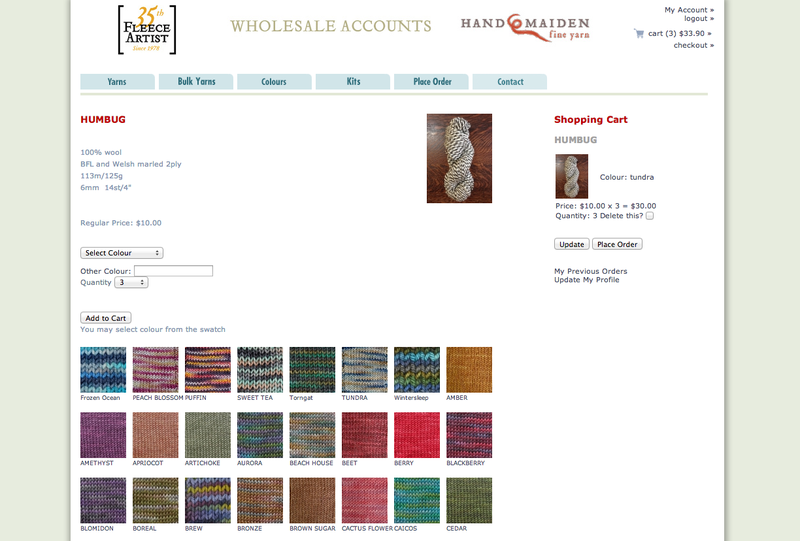 The site features an advanced online ordering system. Allowing thier wholesale customers to apply for an accont, one approved by the client their customers can place orders and track the order right up until it arrives. The customer can also view past orders and invoices. The client can manage orders and the entire dying process from the website. The site is also bulit to allow the client to update all the yars and colours easily right from the website. 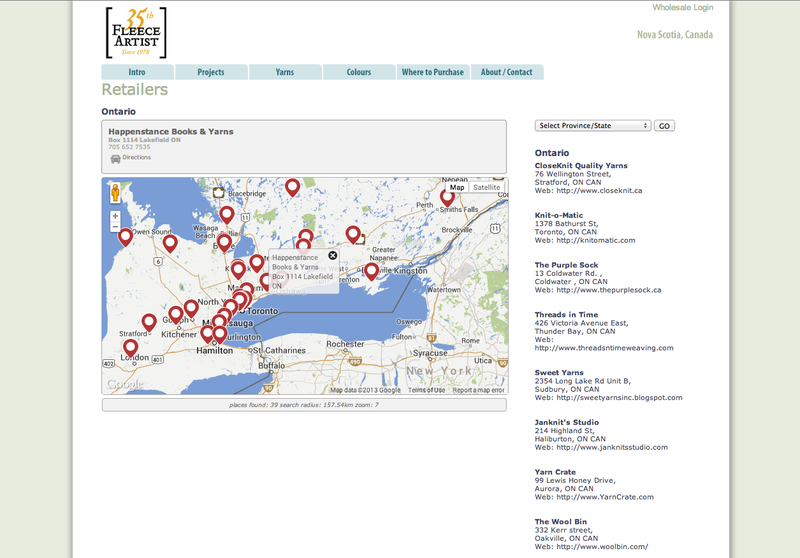 Recently we also added a dynamic retailers map that allows retail customers to find local stores that sell Fleece Artist Yarns.